North Dakota is a relatively large state, though its population ranks amongst the smallest. There aren’t any professional sports franchises in the state, but sports gambling (and other forms of gambling) are still widely popular amongst residents. Part of the reason that gambling is popular in North Dakota is that gambling is tolerated there. 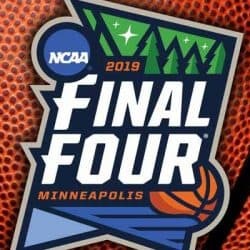 While there are some federal laws that regulate how US sportsbooks operate, sports gambling is still a viable industry through legal offshore sportsbooks. This site is packed with information on the federal and state sports gambling laws and which offshore sportsbooks are legally sanctioned to provide their betting services to North Dakota residents. 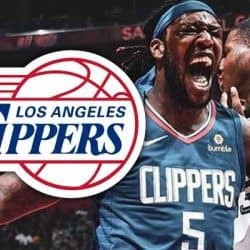 Betonline is a 5 star online sportsbook that is one of only a handful of reputable sites that still service US players. 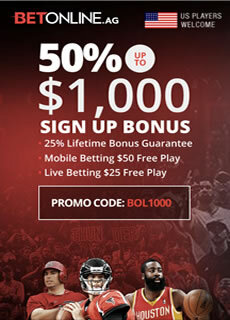 Betonline has an incredible signup bonus for the 2019 football season which includes a 50% bonus up to $1,000. You will find a comprehensive range of sports categories covered, with leagues and events from all around the world. They also now accept Bitcoin which is a much welcomed addition for American players. North Dakota doesn't have any laws that make it illegal to bet on sports in the state. What is illegal per state and federal laws is the act of accepting bets. So if you are a local bookie taking wagers, or you put up a website that accepts bets, then you are certainly breaking the law. But if you wager with an offshore sportsbook, that is 100% legal since the sites are located outside of the United States and ultimately out of reach of the US government. 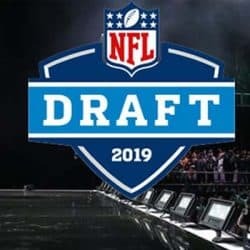 So basically you are legally allowed to bet on sports as long as the site you are placing the wagers at is legitimately licensed, regulated and located in a jurisdiction that has already legalized online gambling. And all of the sites we recommend on USA Sportsbook Sites meet these guidelines. Most states don't want the hassle of going against the feds, and so their state laws reflect and follow federal gambling laws. Is North Dakota any different in this regard? These laws have worked to put restrictions on the industry, but they don’t keep North Dakota residents form placing bets if they want to—as long as they do so through legal means. The first federal law to consider is the Professional and Amateur Sports Protection Act, or PASPA. PASPA was a federal ban on sports betting in the United States from 1992-2018. There were a few states that are exempt from the Bradley Act, like Delaware, Montana, Oregon, and Nevada. These states could offer legal online sports betting if they choose to do so. Now that PASPA is out the federal window, North Dakota could choose to enact sports betting laws like many other US states already have. Currently, there is no legislation for domestic sports betting in North Dakota, so domestic sportsbooks seem to be out of the question for the time being. The Federal Wire Act is another federal law that restricts US-based online sportsbooks from accepting bets, effectively eliminating any chances for US regulated online sports betting sites to emerge. 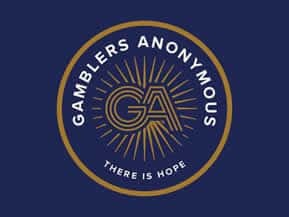 The last federal law is the Unlawful Internet Gambling Enforcement Act (UIGEA) and it monitors banks and financial institutions and how they process online gambling transactions. All of these federal laws only apply to US-based online sportsbooks, meaning the offshore sportsbooks recommended in this guide are outside their jurisdiction. These offshore sportsbooks have the legal licensing and regulation needed to be legitimate. Are There Any Places to Gamble in North Dakota? Now that you know you can find a few different casinos in North Dakota, let's go over some of the live options that you will see there. Starting with a good one, let's speak about the 4 Bears Casino and Lodge located in the state. This is basically a slots house that features over 600 machines, but you can also find a few table games and play roulette, craps, and blackjack. They also have video poker, entertainment, dining, hotel rooms, and more. A cool place to check out if you love blackjack would be the Best Western in Bismarck. No slots, no poker, only blackjack. This is a 35-table blackjack hall where you can play this casino classic in a few variations and a slew of different table limits. If you're more the bingo type, you can visit Big Top Bingo to play pull-tabs, classic bingo, electronic bingo, and more. You can also grab some great food and take in a show while here. Then you have a casino like the Blue Wolf Casino. As a tribal place, it isn't very large and doesn't have a ton of options, but you can still play blackjack, pull tabs, and specialty games like paddle wheel. This in itself is enough to get a big crowd out there. Far and away, however, the biggest casino in the state is the Dakota Magic Casino Resort. This is a legitimate resort, with quality rooms, a spa, a gym, a pool, great shows, plenty of dining options, and over a thousand slot machines with a bunch of table games. It even has a 7-table poker room if you're in the mood for some Omaha or Hold'em. You don't have a ton of gambling options available in North Dakota, but the state does have some specialty halls for gamblers. If you love slots, you can find thousands of these all over the place. If you like specialty games like paddle wheel or pull tabs, then you also have options. And if you like to bet on the ponies, you can find a few racetracks in the state that are quite nice. When you're betting on sports in North Dakota, the first thing you want to do is make sure the website with which you're betting is legitimate. For instance, you want a site that freely accepts US players, and a site that gives you handsome bonuses and rewards for playing. Also be sure to look for a site that has plenty of sporting options on which to bet. You don't want to play at a site where the options are limited only to the most popular sports. You want the freedom to pick and choose different bets. Check out our list of the most trusted US online sportsbooks here. If you live in North Dakota, then you may be a fan of an NFL team like the Green Bay Packers. They're one of the closest around you, and Green Bay, Wisconsin shares quite a bit in common with a place like North Dakota. But just because you're a fan of the team doesn't mean you should bet on them. For instance, let's say Jordy Nelson is injured and the Packers are playing a healthy Seahawks team. You might really, really hate Seattle and want to bet on Green Bay, but this is just the fan in you speaking. You have to bury that part of yourself when betting on sports. Study up on which team is more statistically likely to win. Take the team with the best shot of winning, not simply the team you want to see win. Betting with the stats will ensure that you win far more than you lose. So, let's say you're going to bet $100 on Sunday football. Now, which is better for your odds of winning here? Placing $100 on one team, or placing $20 on five teams? Now, if you win that one-team bet, you're going to double your money, whereas you may only win 3 of 5 and not double your money with smaller bets. But you have to understand that the larger bet is the larger risk, by far, and by leveraging your bets when splitting them up, you should be able to find different bets that are much more favorable for you; e.g. live in-game wagers on quarter results, heads-up bets with other people, flat win-loss bets, etc. You may not win as much, but you're also never going to lose as much when leveraging. Rather than potentially losing $100, you'll instead be gaining money in $20 increments.